The Wednesday Call Live (TWC) for September 17, 2014: This file is an audio recording of Andy's Live Show. If you would like to access the video version, check out the NAAtv Live Archives! The Live Show will air again on September 24, 2014 at 12:30 PM ET. The Wednesday Call (TWC) for September 17, 2014: Andy Albright hosts a live conference call and meeting from National Agents Alliance Headquarters in Burlington, NC! Andy's live show covers all kinds of great topics, including training, information on team building, new developments that are in the works, and frank discussions with your fellow agents (beginner and top level managers alike!). If that wasn't enough, the live show also provides motivation and encouragement that will help get you fired up and ready to roll! Be sure to tune in and take advantage of the great info in The Wednesday Call. Andy Albright was live from AMP Studios in Burlington, N.C. For another episode of TWC. Andy opened the show by covering all the contests going on with National Agents Alliance. Next, Andy recognized the latest cruise winners so far. Brent Bench of Mutual of Omaha joined Andy on set and talked about a hunting contest agents can win by writing Mutual of Omaha. Bench also talked about all the amazing things going on with his company. Bench announced that NAA is again the No. 1 seller of Mutual of Omaha simplified issued products. 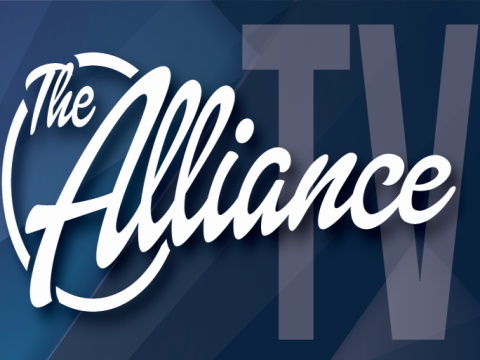 Andy had several rising superstars with The Alliance join the show via telephone and talked about the growth they are enjoying in 2014. One key of finding success with The Alliance to find people who believe in what we do. Andy had some of the ABTF join him to discuss finding people who are ready, willing and able. The Alliance does that at HotSpots meetings by offering a pleasant but not perfect environment, and by being warm and not wintry or cold toward people. The Live Show will air again on September 24, 2014 at 12:30 p.m. EDT. Mutual of Omaha and National Agents Alliance enjoy a great partnership with great working relationships together. With similar visions and values, both MoO and The Alliance are looking forward to working together for a long time to come! In this video, Mutual of Omaha's Vice President of Life Sales, Mark Rush, and Life Sales Director, Brent Bench, discuss their relationship with NAA thus far, and what they envision for the future. Don't miss out on the Mutual of Omaha Children's Whole Life & Accidental Death product training with Brent Bench! MoO presents: Children's Whole Life Insurance! Get kids off to a good start! Brent Bench of Mutual of Omaha walks you through the steps of writing a client application electronically using the eApp software. Quick- Easy- Profitable--that's the e-App! Get FREE training on Mutual of Omaha's e-App! Using the e-App is QUICK, EASY, & PROFITABLE! Brent Bench from MoO reviews GULE and WLE...plus news updates and find out how to win a trip to Punta Cana! Brent Bench describes the Term Life Express portfolio. This is the simplified issue term portfolio that NAA will be offering. Brent Bench reviews the Term Life Complete portfolio. This is one of the three term portfolios that will be offered to NAA. Watch as Brent Bench walks you through the Mutual of Omaha website. Mutual of Omaha- Guaranteed Advantage! MoO's guaranteed issue Accidental Death product, Guaranteed Advantage!